Israel’s UN Ambassador welcomes NJ Governor Chris Christie's support of a bill against BDS. Israel’s Ambassador to the United Nations, Danny Danon, on Tuesday welcomed the decision by New Jersey Governor Chris Christie to adopt a bill against the anti-Israel Boycott, Divestment and Sanctions (BDS) movement. “State after state, we see our most important ally, the United States, continuing to stand by Israel in the fight against BDS. Legislative measures like the one signed today brings us closer to victory,” said Danon. “It was proven once again that this is how you defeat the forces of hate – by boycotting the boycotters,” the Ambassador continued. New Jersey joins a number of American states which have adopted legislation this year against BDS. In June, New York’s Governor Andrew Cuomo signed an executive order banning state companies from collaborating with entities that promote BDS. Other states that have approved anti-BDS laws include Arizona, Colorado, Florida, Georgia, Illinois, Indiana, Iowa, Rhode Island and South Carolina. The bill signed Tuesday by Governor Christie had passed both the State Senate and Assembly almost unanimously. The new legislation will prohibit pension fund investment in entities that call for a boycott of Israel, and mandates a special report which will be presented to the State’s legislators to guarantee that the bill is being implemented. 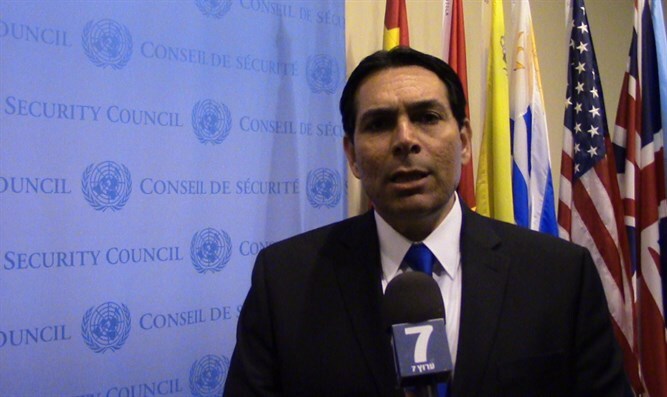 Last May, Ambassador Danon held the largest international event to date dedicated to fighting BDS, and he continues to lead the battle against BDS at the UN and in other relevant areas.